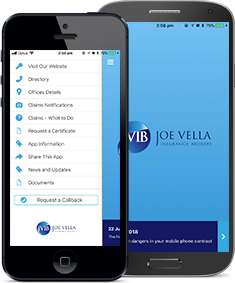 Joe Vella Insurance Brokers (JVIB) take pride in all that they do but most of all, looking after you.We value vintage ethics, we strive for modern management and we use today’s technology – we do “Business Without Boundaries”.From relatively humble beginnings JVIB has grown from strength to strength and now employs 33 staff across three offices. Our ever growing client base currently consists of approximately 6,000 individuals, partnerships and companies.Strong business acumen has played an important role in the growth of JVIB and our client list. In October 2004, JVIB purchased De Iacovo and Strike Insurance Brokers based on the Atherton Tablelands with an office in Mareeba. There is a lot to know when it comes to insurance and as your broker we are here to help you through it. However, we thought we would share this helpful site with you: www.understandinsurance.com.au. It has been created by the Insurance Council of Australia and has loads of interesting things you might also find helpful. Request a quote for specific areas of business insurance. Tailored business insurance quotes to fit your unique requirements. Easy and quick. JVIB can take the guess work and the leg work out of insuring your personal items for you, saving you time and money while giving you peace of mind. Want to do some light reading? Well why not have a look through our news items to see if there is any articles which can enhance your view into the world of insurance. Help us go paperless by opting in or out of our electronic delivery option. Email 'Go Green' to green@jvib.com.au along with your name and email address to opt for paperless delivery. Thanks for your consideration.